Izmir Economics engineers will write the future. 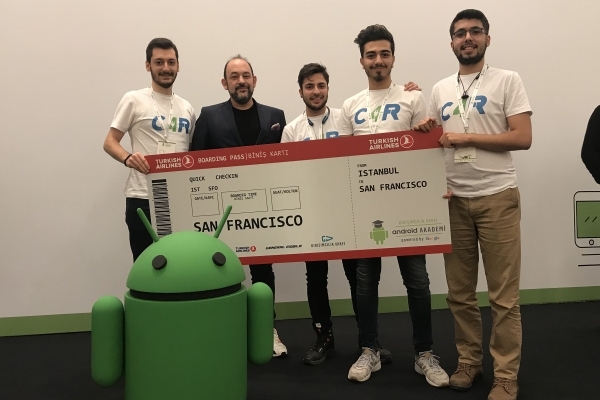 The “Car4Future” titled project of Oğuzhan Sarıtaş and Doğucan Seyidoğlu, students from Department of Software Engineering, Faculty of Engineering, Izmir University of Economics (IUE), was selected among 120 projects nationwide, and the students qualified to attend entrepreneurship ecosystem trip in San Francisco, and receive continuous mentoring. IUE software developers Sarıtaş and Seyidoğlu, developed a software program with project developers Ferhat Babacan and Furkan Ali Yalçın, which brings charging stations for electric cars together, and entered the Android Academy program. Turkish Entrepreneurship Foundation organized the program with the slogan of ‘Start Developing the Future!’ with the support of Information and Communication Technologies Authority and with the sponsorship of Turkish Airlines and General Mobile. IUE students’ Car4Future titled project made it among the top three projects. 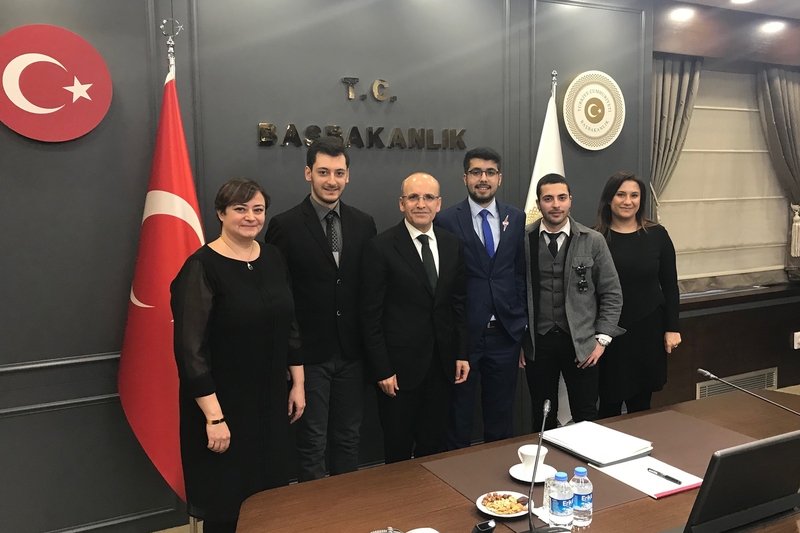 Oğuzhan Sarıtaş, senior at IUE Department of Software Engineering, pointed that their team was awarded with an entrepreneurship ecosystem trip to San Francisco, and a continuous mentoring. Sarıtaş indicated that electric cars became very popular, and he said, “As a result of our research, we decided to develop a mobile application that brings electric cars and charging stations together. We have been working on this project since 2016. Our project allows electric car owners to find charging stations easily, and the owners of stations to promote their stations and make an income.” Sarıtaş stated they would be visiting the Google Headquarters in Silicon Valley, San Francisco, and meet with people/institutions in entrepreneurship ecosystem. Sarıtaş also said that they would work on new features to improve their project.